With the apprenticeship levy coming under fire as ‘not being fit for purpose’ a year after implementation, Aggregates Industries is urging all construction companies to do their bit to attract the next generation or risk the consequences of an escalating skills gap. 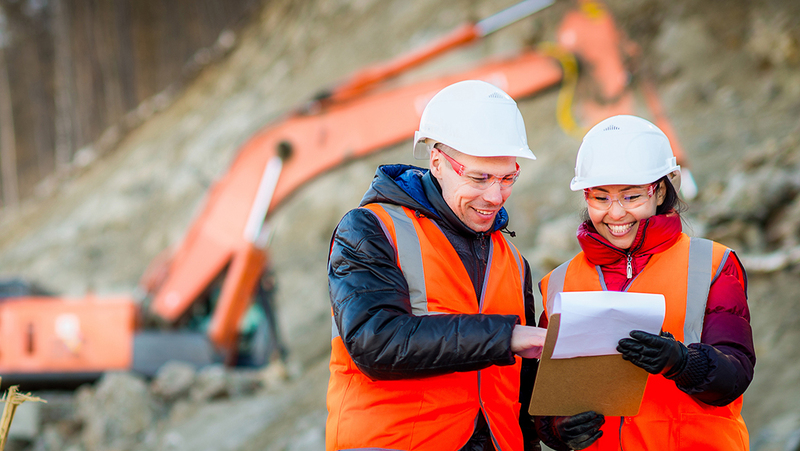 The company says the construction industry cannot afford to dismiss the importance of attracting the next talent pool, irrespective of their stance on the hard-to-use levy, according to David Butterfield, Head of Learning and Development at Aggregate Industries. He said: “From our own experience, we can understand how businesses may find the new funding regime a bit of a minefield and therefore treat it like a tax if they are paying for it but not using it. “However, to dismiss the levy altogether is to miss the bigger picture. We must remember that the construction talent pool pipeline is already at a record low and we still await the full impact of Brexit on the stream of EU workers we rely upon. At the same time, we have huge housing targets to meet, not to mention increased demand from big infrastructure projects such as Crossrail and HS2. “As such, it is essential that construction businesses, whether big or small, make a serious commitment to attracting the next generation. For levy-paying businesses, this means taking the time to understand how they can use their levy monies and take action – the hope being that the system will be reformed to be more simple and efficient in time. According to the Federation of Master Builders, January 2018 saw the construction worker shortage hit its worst level on record, severely threatening its ability to deliver on proposed new build targets. With a significant proportion of the UK’s construction workforce made up of EU workers, the consensus is that the nation’s skills gulf is likely to deepen further. David adds: “With new technologies and methods of working, such as BIM, irrevocably transforming the face of modern construction, it has never been a more exciting or lucrative time to join our industry. Yet there is still this misconception that jobs are mainly for men and, in a lot of cases, low-paid and low skilled. Aggregate Industries operates an extensive apprenticeship programme designed to give people an opportunity to learn new skills and practice them in a live environment, as a solid basis for career development. Each year the business takes on a number of new apprentices who typically go on to enjoy fruitful careers in construction and engineering roles. The business has taken on a total of 49 levy-funded apprentices since its introduction, including 17 higher apprentices, typically occupying operational supervisor and team leader positions, 10 working in admin roles and 22 engineers.